Looking for a new earworm? Then JioSaavn should be your go to place! Visit JioSaavn for an endless list of songs from different genres sorted into different categories. Discover songs and play music according to your mood. Songs always help you calm down by soothing your soul and mind. JioSaavn is the new way to keep track of what’s hot and what’s trending. So here is something for people who have people that love music: Gift Cards to unlimited music subscriptions! 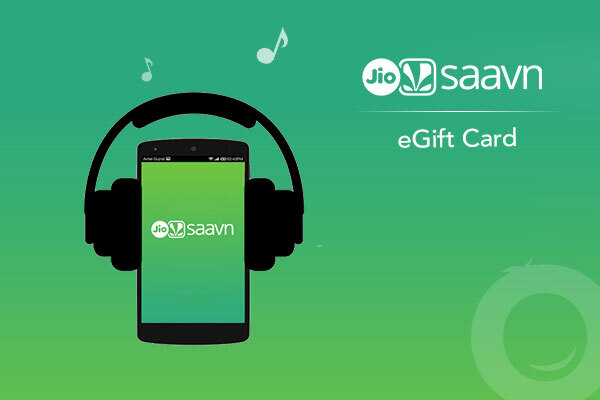 Here are the best deals on JioSaavn Gift Cards through GrabOn; check them out now! Enjoy ad-free access to India’s largest collection of songs. Also, download and stream unlimited songs on your Android and iOS devices in HD quality with JioSaavn Pro! Get your favourite music and discover great music all at your fingertips! You can gift someone the amazing Gift Card of subscription to Save plus and make their days wonderful! Good music is equal to great times. With JioSaavn Gift Cards that offer subscriptions to JioSaavn Pro for the duration of one month or six months, offers unlimited range of songs to choose from. You can also avail unlimited downloads via this subscription and stream songs in high definition! The best of all, the Gift Card gives way to an ad free experience to listening your favourite songs on the go. Could anything be better? Get the best gift for your friends, family and loved and dear ones by gifting them something they are going to cherish for a while: JioSaavn Pro Subscription Gift Cards starting from mere 99 bucks only! Get the best deals on the Gift Cards through GrabOn. Check them out now for the most profitable deal out there. What does the JioSaavn Pro Gift Card do? A JioSaavn Pro Gift card lets the user enjoy JioSaavn Pro that gives them access to unlimited songs and the option of listening to them offline. With the JioSaavn Pro version, you can also avoid the unwanted apps that disrupt the listening flow of your favorite music. You can access JioSaavn on 5 different devices and also get access to exclusive content. 1. What are the buying options of Saavn gift card or voucher? The Saavn gift card will be sent to the respected recipient once your payment transaction is complete. 2. How does the validity of Saavn gift card work? If you happen to have two Saavn pro gift cards, you can club both and use. 3. Can I use my Saavn e- gift voucher or card on Wynk or other music platforms? 4. 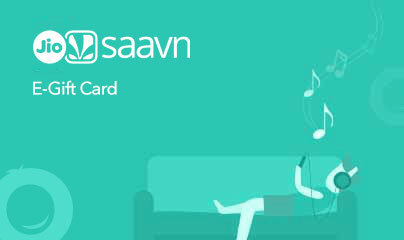 How can I redeem my Saavn gift card or voucher? 5.How much does Saavn pro cost? It costs Rs 250 a month for unlimited downloads. 1. Is the gift card refundable or can it be returned?